CONTEMPORARY 3 BEDROOM, DIRECT GULF FRONT CONDO!! COMPLETELY UPDATED!! Feel like you are on a cruise ship when you walk in with sweeping water views from every room. Wrap around balconies off Living/Dining rooms and private balcony off Master Bedroom & Guestroom. See all the way to Honeymoon Island. Breathtaking Sunsets & Sunrise everyday! Kitchen completely opened up with newer white cabinets & granite tops. All 3 baths updated with white vanities & silestone tops. Update lighting throughout! Designer furnishings included. Sit in your master bed, drinking coffee while reading the paper, enjoying the gorgeous water views & watching the dolphin at play! Large master bath with dual sinks, separate shower and huge master tub. Perfect for soaking after those long walks on the sugar sand beach of Sand Key. Big walk-in closet. PRIVATE GARAGE#20 within the parking garage. 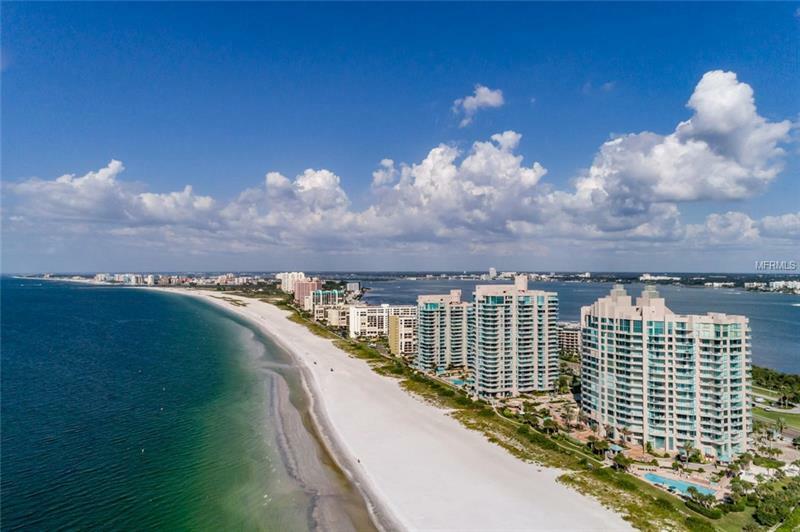 The Ultimar is a world class condo complex on Sand Key of famous Clearwater Beach. Miles of pure white sand. Lush tropical landscaped grounds are expertly maintained. 24 hr guard gated. True Resort Style complex has 3 pools w/spas, 3 tennis courts, basketball court, putting green, croquet lawn, fitness club, steam & sauna, billiards room, media room, social room with catering kitchen and baby grand piano. Walk to great restaurants & shops or catch the Beach Trolley which stops right out in front of the building. START LIVING THE FLORIDA BEACH LIFESTYLE TODAY! !